BEIJING, July 28 (Xinhuanet) -- Zhang Ziyi, starring the heroine in the international hit movie "Memoirs of a Geisha" has been voted as the most outstanding young actress of China Thursday. The elegant actress Zhang beat a host of stunning stars to take the top spot in the competition conducted by China Radio International (CRI). 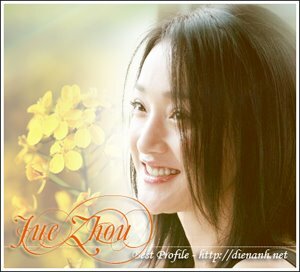 Zhou Xun-- who played in the musical movie "Perhaps Love"-- took the second place while "The Road" actress Zhang Jingchu came in the third. "Letter From an Unknown Woman" actor and dirctor Xu Jinglei, a woman with style and substance, rounded up as the top fourth. For actors, "Initial D" star and the hottes singer Jay Zhou topped as the most outstanding young actor of China. "The Music Box" star Chen Kun won the second place, just ahead of "Promise" star Liu Ye who came in the third. A senior editor of CRI said: "All of the outstanding young persons winning out in the competition are well-known and pupolar among the Chinese youth because they are really fine young people with high talent and ability."